I have been gardening a lot lately and have been inspired to look for gardening and nature songs for children. I recently went on an edible wild plants walk in Leverett Mass, with friend Pamela hosted by John Root! It was so much fun getting acquainted with the various little leafy greens and tendrils that are all around us! I ate almost all the leaves I found, my favorite being the large clovers and something called an elephant ear. Since this experience I have been drawn to nature spirits and these fun muses for my own personal songwriting, as well as for my soon to be radio show! These are a few of my favorite musical ladies of "The Fairy Garden Dreams". 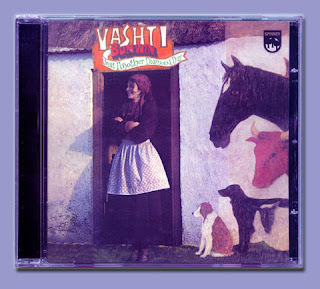 I was recently introduced to the sweet sounds of Vashti Bunyan by my friend Pamela Wyn Shannon, a wonderful musician as well. I found Vashti Bunyan's mellow folk music to be perfect for little ears, since her lyrics are filled with magic, nature and colorful images... I love her song Glow Worms, and adore the Swallow song off of her re-released album from the 60's called "Another Diamond Day". 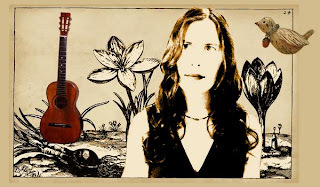 Pamela Wyn Shannon is a wonderful delight of both acoustic folk and magical Celtic. Her song Pipkin won my heart the first time I heard it. Pamela is a talented songwriter, guitarist and singer, a rare jewel of fine talent. Her songs are loved by both big people and little ones! My six year old son loves her CD, it helps him "to feel magical"! "Shannon's inventive and intricate guitar work has been described as "a tiny chamber orchestra working in unison at the end of her hands," and her vocal style has a delicate lilting sensitivity. 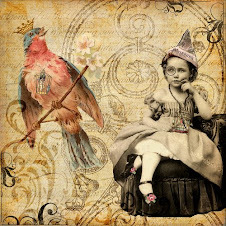 Her unique compositions have an elliptical quality which creates its own time frame, rules, and kingdoms, and are reminiscent of the magic found in UK '60s artifacts." 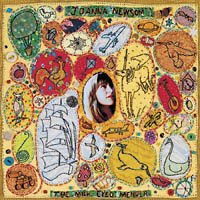 Joanna Newsom's Appalachian-meets-avant-garde take on folk music is very unique, she is a classically trained harpist, and plays all her songs with just harp and a quirky fun voice! My favorite song of hers is called "Sprout and the Bean" on the album "The Milk Eyed Mender". This album is fun for a summer day in the garden with fairies and wee-ones!